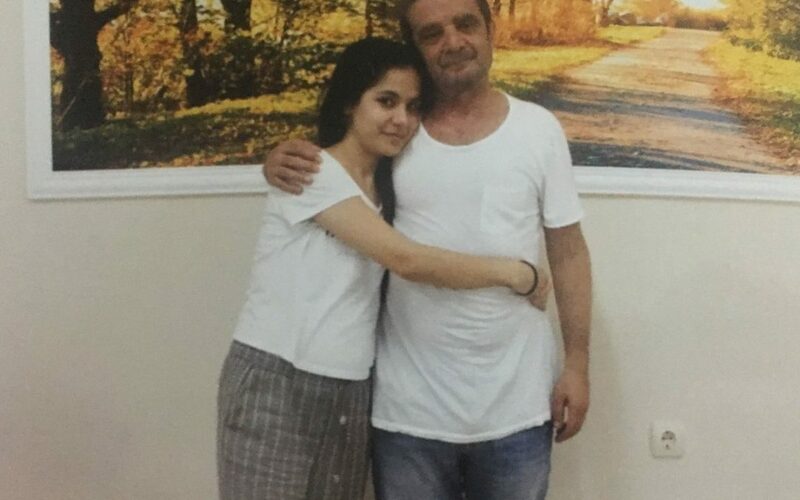 Sıla Türköne, the daughter of jailed Turkish journalist Mümtazer Türköne, has said her father will celebrate yet a third birthday in Silivri Prison, sharing a photo with her father taken during a prison visit. The İstanbul 13th High Criminal Court on July 6 sentenced Zaman journalists Türköne and Mustafa Ünal 10 years, six months in prison, while İbrahim Karayeğen was given nine years, and Ahmet Turan Alkan, Şahin Alpay and Ali Bulaç were handed down sentences of eight years, nine months each. The court also decided to release Alkan and Karayeğen pending appeal. Türköne and Ünal are still incarcerated. Türköne in his final remarks in court on July 6 said he had given lectures on the constitutional order as an academic for 38 years, but now, after being accused of attempting to overthrow that order, he would put an end to his political career and start to write novels. International organizations including the Organization for Security and Co-operation in Europe (OSCE), Amnesty International, Human Rights Watch (HRW), Reporters Without Borders (RSF), the Committee to Protect Journalists (CPJ) and the International Press Institute (IPI) on July 7 reacted strongly to the ruling of a Turkish court, calling for their immediate release. The Zaman daily, which was Turkey’s best-selling newspaper, was closed down along with dozens of other media outlets due to their links to the Gülen movement, which is accused by Turkey’s Justice and Development Party (AKP) government of masterminding a coup attempt in July 2016. Turkey is ranked 157th of 180 countries in RSF’s 2018 World Press Freedom Index. Some 150 media organizations have been closed, mass trials were held and the country holds the world record for imprisoned journalists.